Are you feeling sad, tired or stressed out? 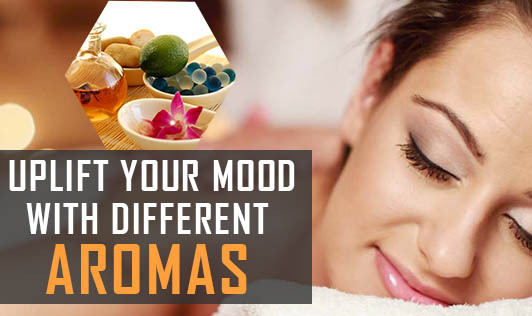 Aromatherapy can be a tremendous help in uplifting your mood. Moods change as & when we experience different emotions.. Negative moods like depression, guilt, anxiety, helplessness, irritability and even stress can be devastating if handled inappropriately. Controlling such emotions is crucial in your overall health and well being. Such emotions can lower your resistance and makes you more vulnerable to illness and disease. It can also be mentally crippling. Aromatherapy is a technique that uses the body's sense of smell to help boost your mood, relieve stress, energize and encourage better health. It can affect our moods, and consequently how we think or feel at any given time. Below are the lists of essential oils that are helpful in the relief of certain emotional and stress related problems. Try adding a few drops of a related essential oil to a cotton ball and inhaling. Tiredness/Exhaustion: Peppermint, Rosemary, Jasmine, Basil, Cinnamon, Lemon, Clary sage, Lavender, Nutmeg, Sandalwood, Rose, Vetiver, Geranium, Bergamot, Frankincense, Ginger, Grapefruit, Patchouli, Sandalwood. Try it out and see how it will boost your mood.